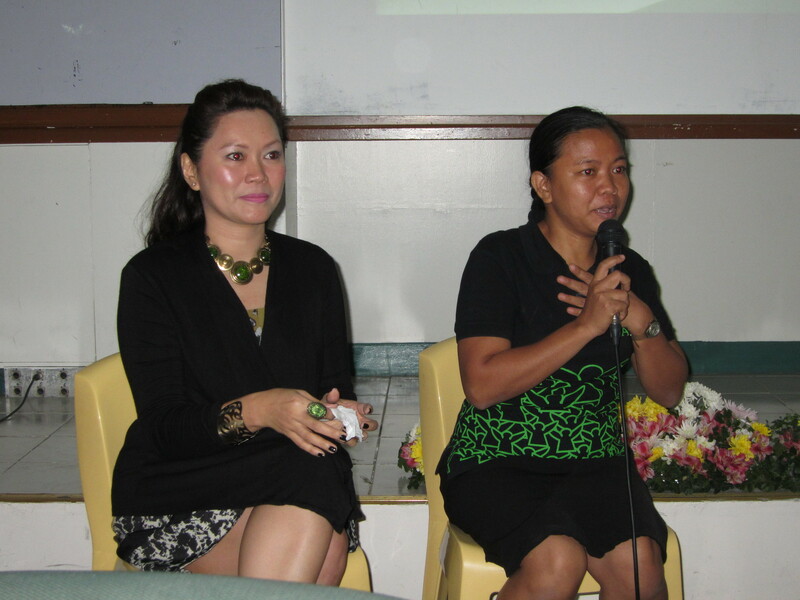 The Autism Society Philippines National was invited by the University Santo Tomas College of Nursing to give a talk about positivism towards autism last 26 February 2014. The seminar aimed to enhance, nurture societal empowerment and services in the field of nursing. National Trustee Grace Adviento discussed the facts and myths of autism; while I shared my experience in dealing with autism and in raising children with autism. I decided to extend my topic to include sensory processing disorders and how to manage them; so that every time they will encounter children with autism, they have already a basic knowledge on how to handle and deal with them. Our talk was followed by a panel of reactors composed of a nursing student, a medical professional and a parent of neurotypical children. The open forum that followed highlighted how the group appreciated parents like us, who advocate for individuals -- with a handful signifying their intention to become ASP member-advocates also.